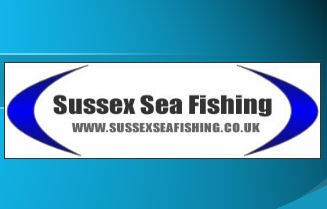 This is a good alternative to fishing Newhaven east arm and has produced numerous memorable sessions. One word of advice if fishing Seaford at low tide especially nearer the cliffs is that there is a long snag (pipe) that runs along the beach about 100yrds out at the deep end. so when you reel in make sure you do it quickly until you think you are past it. As with every place the weather plays a big part in the tactics used and i have tried to cover every option. Overview: Generally the summer produces Bass, Mackerel, Horse Mackerel and Garfish to Floats, Spinners and Feathers, If you decide to fish the bottom then you wont be dissapointed as you can expect a mixture of Flounders (best bait redrag/maddies), Pout, bream, Sole (up to decent sizes often on fresh lug after dark), Bass close in to the shore 50 yards max, occasionally Rays, Mullet (on maddies/redrag) and Dogfish on mackerel baits. The best time to fish these spots is early morning or dusk as the tide is coming in. This is because the fish feed more confidently and also there are less people sunbathing or swimming to scare them off. I would take 2 rods and fish one with a 2 hook clipped down paternoster cast out with king or red rag on size 2 or 4 hooks (this should allow enough flexibility to catch most bottom feeding fish), the other rod i would use a spinner, plug or float with my preference being a 28g Dexter Wedge to catch Mackerel, Gars and Bass. youb can also drop a nicebig bait on 3/0 hooks or a livebait close in for the Bass. Good size fish show here after dark and you may wish to have some fresh lug as the Pout and Sole like these alot. If you can get your hands on whiterag then this can be excellent at tidemills. If your fishing for bottom fish like flounders and Sole then i would suggest letting a bit of slack out so that your line is not totally tight, you should still see bites but it makes sure that your bait is on the bottom. The only problem at seaford is that crabs can be a problem, so you may want to take pop up beads if this is the case to lift the bait off the botttom. Another method for the bottom fish is to cast approx 60-80 yards with a 3 hook flapper with long flowing snoods and size 2 or 4 hooks and your ragworm or bait of choice. Tide Mills: In the summer months this area provides alot of Mackerel, plus the chance of Gars, Mullet, Gurnard, Sole, Flounder and Plaice. You will also catch Bass at this venue on morning or evening tides. The benefit of fishing here is that there are less people on the beach. The best way of catching Gars and Makerel are by using spinners or lures on a carp rod and light line. You can float fish but casting distance may be limited and this is where the spinners are better. To catch a Bass you can use similar methods to those above or if you catch a joey Mackerel (small one) then you could use it as a live bait. To target the Mullet you need a totally different set up which is much lighter and use clump of red rag (harbour rag) as bait (see the fish guide about how to target them) on a size 4 or 6 hook. For the other species mentioned a 2 hook flapper/paternoster can be used with beads on the bottom hook lenght (snood) as an attractant for Flounders and Plaice. One of Tidemills best attributes is that when there is a westerly wind the area is slightly calmer as is protected from the newhaven arms, alternatively my favorite spot fishing a westerly wind is the newhaven east arm as the water is very calm and stays clearer than many other marks which allows you to float fish and catch mackerel and gars. I have fished this spot in a competition when Brighton marina had water splashing over it and nobody caught on floatfishing gear and were catching pouts etc whilst i chose to fish newhaven east arm and had quite a few Mackerel and gars. If you find that the fish have gone off the boil at tidemills it may be worth trying Newhaven East arm as they do tend to stay at the arm a little longer. Buckle Caravan Park: This is a good all round venue but in summer months it is only fishable at dusk or dawn due to the large number of bathers that visit the beaches. You will catch all the above mentioned fish except Mullet which are less frequent at this mark. I have fished this area at night and seen shoals of Makerel up to 200 yards long and occassionally beaching themselves whilst chasing the whitebait. If you find yourself in this situation then it might be worth trying for a Bass by using a live joey, big spinner or a plug, once you are bored of catching Mackerel that is. if your fishing this venue with bottom baits then you can expect flounders and some potentialy very good sole. Beach Comber Gully: This is a know hotspot in the area as there appears to be a fish holding gully about 100 yards out. bottom fished baits can be very producive from this mark with a good mix of summer species being caught. Deep end: This area has deeper water and you will catch all the above mentioned fish on the same methods but from personal experience is a good summer night venue although in rough conditions the tide can run quite hard. You can also get some good bass at this end. Be aware though as there appears to be a ledge or underwater obstruction which stretches along tghis area (about 110 yards out at ht) and this is a real tackle graveyard. i would suggest reeling in very quickly if you manage to avoid the snag. This is a good winter mark especially towards the deep end which is the stretch of beach nearest the cliffs. I fish about 500yrds before you get to the museum with the cannon on. Opposite the last few flats. It is deep water and provides an open stretch of beach where you will catch most winter species. If its really rough then i would advise fishing somewhere else as the tide can get very strong and you will find that you soon get lots of weed on your line. With either of these sometimes resulting inyour line breaking. For general pleasure fishing and a just happy to catch whats out approach i would suggest a 2 or 3 hook paternoster with snood and rig lengths varying on how rough the sea is, size 2 or 1 hooks and baits such as King Rag, Black and blow lug will be sufficient for a day or evenings fishing. I would also suggest taking a Mackerel or squid to cut into small strips and add them to the hook end after you have threaded the worms up the hook. For larger specimens then using clipped down rigs and or single/pennel hooked baits to cast a long distance. If possible use peeler crab as this can be deadly for codling. The best time to fish any of the spots is dusk or after dark as the fish are more confident and come in closer. I would always recommend taking two rods, one for a long distance cast and one for in close. This gives you the opportunity to find the fish. You could alternatively try one with a big bait for Codling and the other rod for whatever is there like whiting etc. The best time to fish if you are after the ever more rare Codling is to fish straight after a storm or windy conditions. Just as it is settling down can provide the best Cod fishing as they like to come in closer because of all the food being churned up in the swell. Beach comber: this is a well known mark amongst local anglers as opposite the pub there is a gully approx 110 yards out. this area can see increased levels of catches for most winter specimens. Tide Mills: This is the shallowest of the marks but can still provide some good sport. I would fish this sport between Feb and April as you will also have the chance of catching Flounders whilst targeting species such Dab, Whiting, Pout etc. I would recommend fishing the other two marks mentioned below in the winter months as they provide all round better sport due to the slightly deeper water. However if there is a strong wind making the sea rough this spot can be a saviour as sometimes the tide at the deep end can be too strong to fish. Buckle Caravan Park: This is good spot with easy access and often provides good numbers of whiting in winter months. I have had many a good session fishing from here with little noticable difference in catches than the deep end after dark. But if you are after a Codling then try the deep end instead. Deep end: This area runs from the ice cream stall/cafe on the promenade until the cliffs. This is probably the best stretch of beach at seaford in the winter besides the beachcomber pub due to the deep water and can produce more cod than many other local marks as well as large numbers of Whiting, Pout, Rockling and Dabs. the only problem i have come across with this mark is that there seems to be a snag about 100-150yrds out which is apparently a pipe. Also if the sea is quite rough the tide and waves can become strong so a visit to the buckle of tidemills may be better if just pleaseure fishing as the breaking waves and weed can be strong enough to break line. This is an extreme but is worth taking into account if your after a good nights fishing.